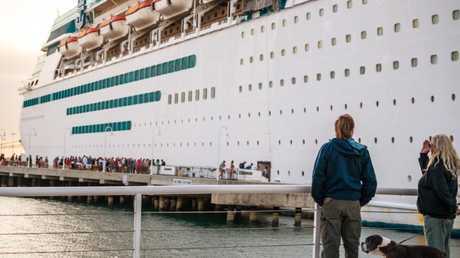 After a day exploring Cuba's vibrant capital Havana, Kevin Rohrer and his girlfriend returned to the dock to reboard their cruise ship and continue their four-night journey. "It was a frightening situation. 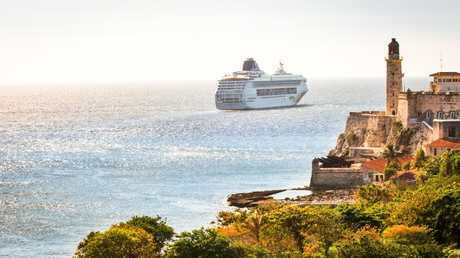 We were devastated," Mr Rohrer said in his complaint to the cruise company, Norwegian Cruise Line. "We exchanged money and we took a taxi to the airport. American Airlines told us they wouldn't take a credit card and quoted us 472 pesos (A$646). We didn't have that much money." 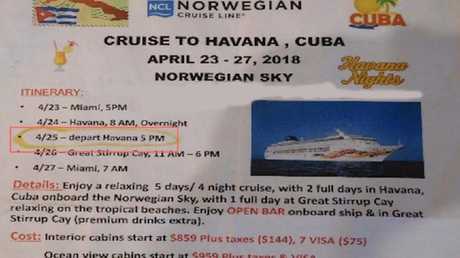 The American couple managed to buy two seats on a flight home but were devastated their cruise journey had ended prematurely, that Norwegian Cruise Line had apparently stranded them in a foreign country, and they didn't even understand why - the itinerary clearly said the ship would depart Havana at 5pm. Despite their outrage they weren't going to be compensated for the trouble, as discovered by Michelle Couch-Friedman from consumer rights group Elliott Advocacy, who Mr Rohrer contacted for help. Mr Rohrer told Elliott Advocacy they later found out Norwegian Cruise Lines had changed the scheduled departure time at Havana from 5pm to 2pm and said the company "made no effort to inform travellers of this change". However, he said Mr Rohrer had a second document from Norwegian with him on the day he and his girlfriend missed their ship. 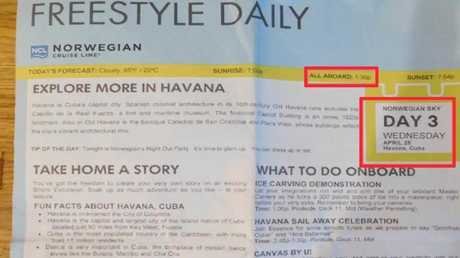 It was a newsletter sent to their cabin, saying passengers in Havana should be "all aboard (the ship at) 1.30pm". Mr Rohrer told Elliott Advocacy he hadn't had a chance to read the newsletter before becoming stranded. "I provided that figure showing the time of 'all aboard' news flyer that was sent to our cabin while we ate breakfast on the boat the third day (second day for Cuba)," he said. "But I didn't get to read it at the time of discovery (we had a tight schedule with the Cuban Tour Advocacy). I had folded that flyer and put it in my pocket during our disembarkment from the ship. I read that flyer while waiting for a flight out of Cuba." In its response to Mr Rohrer's complaint, Norwegian directed him to its terms and conditions, which read: "In all ports of call, it is also the guest's responsibility to be back on-board the ship no later than one (1) hour prior to the ship's scheduled departure time. Please be aware that shipboard time may differ from the port of call and it is the guest's responsibility to follow the shipboard time. In the event a guest misses the ship, it will be the guest's responsibility to pay all expenses incurred to rejoin the ship." 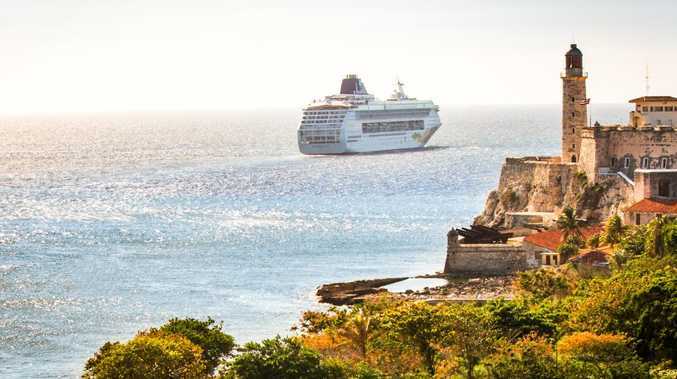 "Additionally, the day before calling into Havana, the Cruise Director announced the new time repeatedly throughout the day and additional signage was placed on the gangway for all those disembarking to see," the company said. Mr Rohrer maintains he didn't hear of any change to the schedule. But Ms Couch-Friedman said in any case, Norwegian Cruise Line's contract of carriage made it clear when you booked a cruise, there was never a guarantee the itinerary would stay the same. 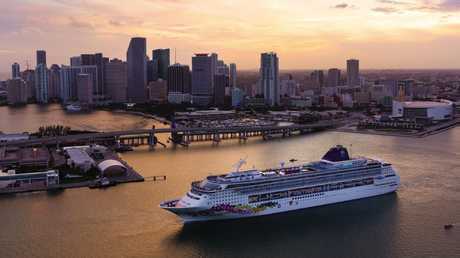 "In the event of strikes, lockouts, stoppages of labour, riots, weather conditions, mechanical difficulties or any other reason whatsoever, Norwegian Cruise Line has the right to cancel, advance, postpone or substitute any scheduled sailing or itinerary without prior notice," Norwegian's terms and conditions read. "Norwegian Cruise Line shall not be responsible for failure to adhere to published arrival and departure times for any of its ports of call." "This is especially important if you have booked your own shore excursion," she said. "It may cost a little more money to book the excursion through the cruise line, but you can be certain that the boat won't sail away without you during your adventure. "In the end, it's the traveller's responsibility to know when to be back on-board that ship. If you miss your cruise home, unfortunately, there's no one to turn to for a refund or reimbursement."